While college attendance is not required to participate in our programs, a slight majority of past participants have been college students. College credit is available for our programs. The following information shows you how to navigate the process. 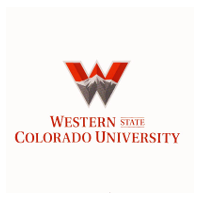 For more information, visit the Western State Colorado University – Extended Studies website. Another option is to set up an independent study through your own college or university. The information below will help you accomplish this and is also available in a printer-friendly .pdf format. Nature knowledge is an understanding of the natural world, including plants, fungi, lichens, animals, birds, fish, mollusks, insects, amphibians, reptiles, rocks, minerals, soil, water, ice, weather, celestial bodies and ecology, the dynamic interaction of each with the whole. It can be learned but, in most cases, not directly taught. Experienced teachers can aid the learning process by creating study routines and providing resources. Observation and study are the keys and it’s a lifetime endeavor. Bushcraft is the active component of our interaction with nature. Both art and science, bushcraft is doing, making, crafting, traveling, building and living in the natural world using simple, low-tech tools. Static knowledge, such as how to care for tools, etc., is a small percentage of the discipline. The vast majority is active, dynamic and hands-on. 1. 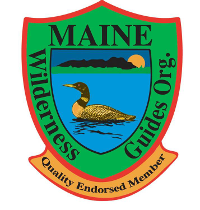 Demonstrate knowledge, comprehension and application of a wide variety of bushcraft and primitive skills, including fire, shelter, outdoor cooking, tracking, observational weather forecasting, bowmaking, carving, basketry, cordage and natural bindings, navigation, and the use of the axe, saw, and knife. 2. Demonstrate knowledge, comprehension and application of traditional canoe skills, including paddling, poling, safely running whitewater, portaging, and other related skills. Also accurately self-evaluate their skill level and difficulty of rapids in order to make prudent decisions regarding whether to run or not. 3. Demonstrate knowledge, comprehension and application of traditional winter bush skills, including canvas tent use and care, wood stove setup, use and safety, snowshoeing techniques, the use of toboggan and sled to transport gear, and use of appropriate tools. 4. Build a variety of pieces of traditional gear using simple hand tools. 5. Define basic, intermediate, and advanced wilderness survival and the appropriate skill-set for each. 6. Assemble and maintain a tool kit with which they can make a variety of different crafts. 7. Navigate by map and compass, and also by using barehand methods. 8. Build a strong foundation of nature knowledge about the weather, birds, mammals and their tracks, fish, insects, the stars and constellations, and plants. 9. Have a working knowledge of 100 edible, medicinal, and otherwise useful wild plants. 10. Evaluate current and historical literature on bushcraft and outdoor leadership. 11. Evaluate whether modern high-tech camping practices have a minimum or displaced impact on the environment. 12. Compare the impact of a small-scale thermophyllic composting system that includes human waste with modern, input-intensive systems on the local environment. 13. Evaluate the role of traditional Earth skills and bushcraft in modern outdoor and adventure education. 14. Understand principles of effective outdoor leadership and group dynamics. 15. Effectively plan, provision, and prepare for a weeklong or multi-week wilderness trip. 16. Increase self-confidence through skill acquisition and an understanding of their impact on local ecology. 17. Document daily progress with individual skills in their logbook. We embrace portfolio-based assessment as it demonstrates what a student has accomplished instead of placing them in competition with their peers. Students keep a daily logbook and nature journal during the program to record what they’ve done. These, along with crafts they’ve made, projects they’ve worked on, photographs they’ve taken, and everything else they’ve done during the program are assembled into individual student portfolios. The portfolio is a factual record what a student has accomplished. It offers a real basis by which to evaluate progress and achievement. Visit our Student Assessment page for more information. One method by which students acquire course credit for our programs is through the completion of an independent study with his or her college or university. An independent study is a course that is designed by the student and a supervising faculty member. Universities will often require the student to arrange for an independent study in the department in which credit is sought. The student should carefully evaluate any decisions involving course credit and may wish to consult an advisor or other individual who can help evaluate the best actions for fulfilling individual academic goals. Keep in mind that our programs are highly academic and intensive immersion experiences. Students regularly conduct research or complete readings late into the evening. An independent study project will add additional responsibilities to the student and should be considered only if the student is dedicated to the completion of the additional assessment measures. All independent study arrangements must be made with the college or university prior to arriving to ensure that credit will be issued upon successful completion of the program. The areas of most intensive study have been developed into a college-oriented curriculum. Based around components that mirror the curriculum of a traditional college, each course is designed to provide learning specific to that field. Students will become intimately familiar with the canoe by carving a paddle and pole and learning the short-stroke paddling style of north woods guides. Students will also learn the art of poling and snubbing for efficient down and upstream travel. Students will begin by constructing leather and canvas mukluks then hit the trail for a multi-week snowshoe trip. Pulling their gear on handmade toboggans, students will set up traditional camps of wall tents outfitted with wood stoves. Through this, students will experience the comfort of winter and how to safely and efficiently travel in the cold. Students will learn to plan and lead extended wilderness canoeing, snowshoeing, and hiking trips. Navigation, lost person, search and rescue, trip planning and provisioning, group dynamics, and use of appropriate gear and tools are included in the course content. Taught by actively working guides. Students will fully develop their understanding of the relationships between humans and their physical and biological surroundings. Students will consider ethical environmental issues and learn to compost all of their organic refuse using a simple and efficient thermophyllic composting system. A field and laboratory component emphasizes the diversity of local plant life and their environments. The scope of this component includes basic structure, plant and animal relationships, identification, adaptation, and uses. Living plants collected throughout the course in all of the natural areas will be pressed, identified and discussed. Student will also complete an in-depth investigation of one plant each day. Students will engage in daily studies of the fauna of the northern forest. Students will complete extensive background studies on mammals with an emphasis on their tracks, life histories, and behavior. Students will make plaster track casts as opportunities present themselves. Students will learn traditional forest skills used throughout pre-industrial human history. Building shelters, making fire without modern contrivances, making string and rope, making baskets and pottery for containers, making and using stone tools, tanning skins and furs without chemicals, gathering wild plant and animal foods and learning the tools and techniques of fishing, hunting, and trapping are the main components. Other components are added when practical. Students will spend two weeks immersed in the wilderness experience, living the traditional skills of the forest as well as more modern techniques of organizing, managing and leading groups that are crucial for modern guides and outdoor leaders. During the fall and spring, this is by canoe. During the winter, it is by snowshoe. Begin by thoroughly reading the information contained in this manual and on our website (www.jackmtn.com). This information will provide you with an understanding of the goals, objectives, and teaching methods employed throughout the semester. While you read through the material, think about those areas that you feel will contribute the most value to your formal education. You may want to also think about which areas might possibly be used to fulfill requirements of your degree plan. This will guide you in determining the area and subject matter of your independent study course(s) and will aid you as you complete the following steps for arranging an independent study with your school. While our instructors are available to help clarify objectives and subject matter that will be taught in the program, each of the necessary steps in acquiring credit are the responsibility of the individual student. 1. Choose a supervising faculty member for your independent study. If you are unsure where to begin, your initial contact may be with an academic advisor, a professor, or a career counselor at your college or university. If you wish to receive multiple credits (such as an environmental science credit and a botany credit), you may need to find a separate supervising faculty for each of the independent study courses you wish to complete. The professors may be affiliated with different departments at the college or university, so this will require additional coordination. 2. One you have chosen a supervising faculty, you will need to familiarize him or her with our program goals, objectives, and teaching methods as well as your personal interest in the program. 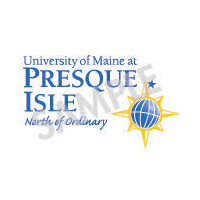 We suggest that you share this manual with your supervising faculty so that he or she understands the educational benefit and academic scope of the program. 3. Establish an Independent Study Agreement with your college or university. A sample agreement is included in this manual. The student should fully understand this agreement before beginning their course with us. This agreement acts as a well-defined plan as to what objectives will be learned and/or mastered and what specific assessment measures beyond those already incorporated in the course will be required of the student. A supervising faculty may require a written report, an oral presentation, the completion of a reading list, a collection of photographs, the demonstration of an acquired skill, or any other assessment measure so that credit can be awarded upon completion the program. 4. Send a copy of your Independent Study Agreement to us prior to arriving for the course. If this is not possible due to time constraints, bring a copy of the agreement when you arrive. While the focus of the instructor will be the course outline, we will be aware and conscientious of all independent study goals and objectives throughout the course. 5. Upon completion of the course, submit your completed project to your supervising faculty for approval and credit. Send another copy of your project (if possible) to us.